Will and Kate's World: A Weekend with the Rushings! 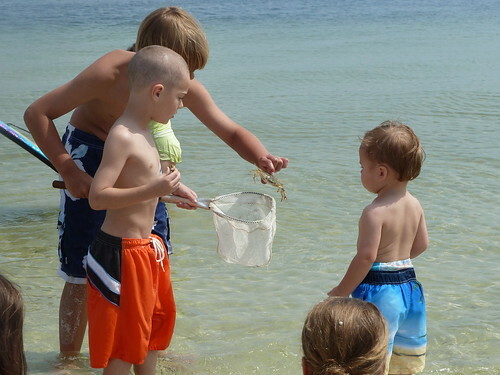 This weekend we went to Fort Walton Beach to spend some time with family. Everyone had a blast. 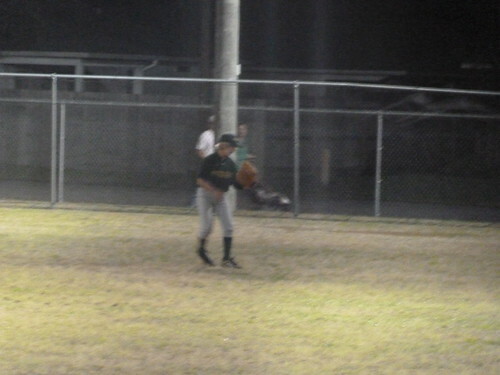 On Friday we all went to cheer on Parker while he played baseball. 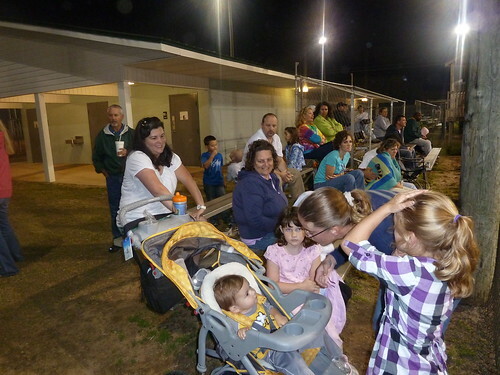 There were so many of us that we took up just about the whole set of bleachers. There are several people missing in the photo above. As usual, Lala is aggravating one of my kids. We tried not to embarrass Parker too much. After the game, we played board games and the Wii. 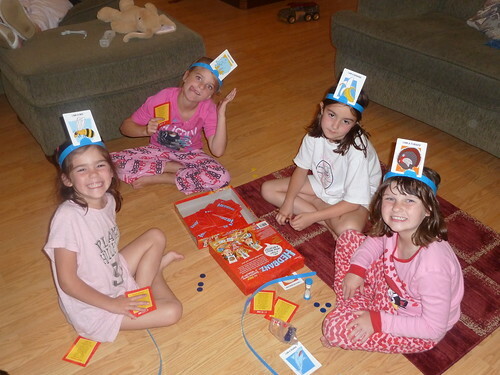 Here are the girls playing some kind of Headbands game. 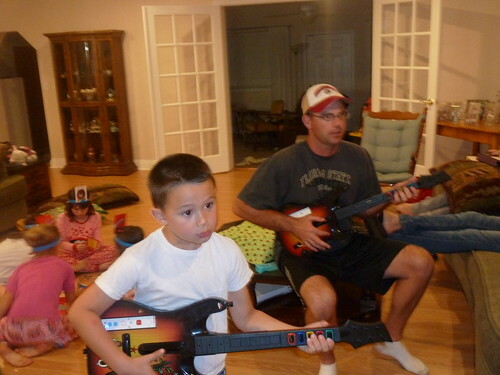 And here are Uncle Steve and Logan playing Guitar Hero on the Nintendo Wii. Sometime late at night the kids were all giving out and decided to go to sleep. 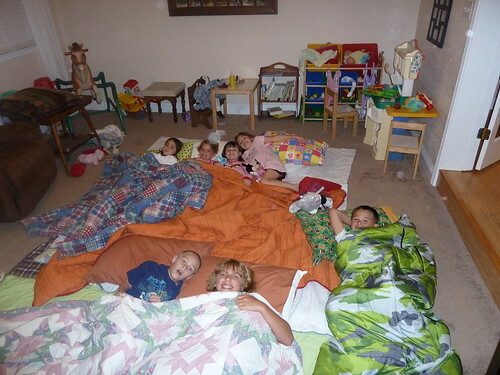 All the kids slept in the game room with Grandma on the floor. They watched the new Tangled movie to fall asleep to. I think all of them stayed up to finish the movie except for my two girls. The next morning Grandma and Aunt Jess made pancakes, bacon, biscuits n’ gravy, and sausages for breakfast. 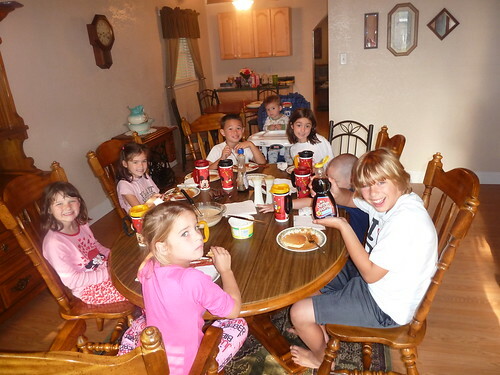 The kids got to eat at the grown up table; but because there are so many of them, it became a kids table. On a side note, Aunt Jess’ pancakes aren’t as pretty as Grandma’s. After breakfast, we decided to go to the beach and play. 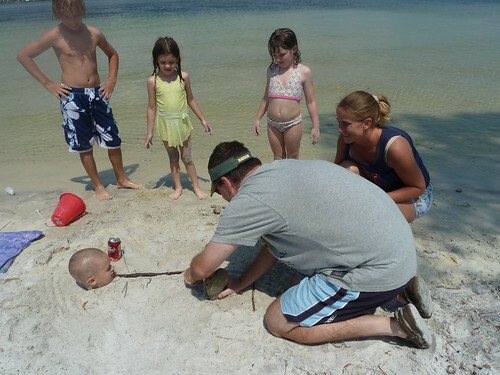 Here are Parker and Logan playing in the sand. The boys felt the need to catch everything. 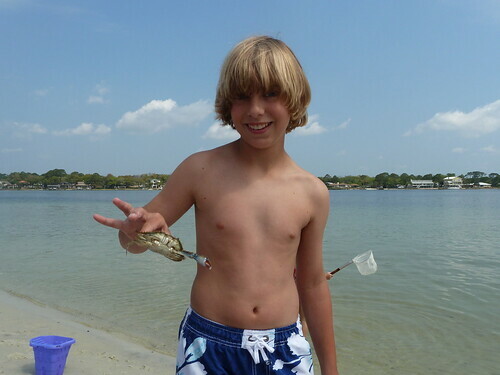 So by the end of the day, we had crabs, hermit crabs, minnows, and jellyfish in buckets. 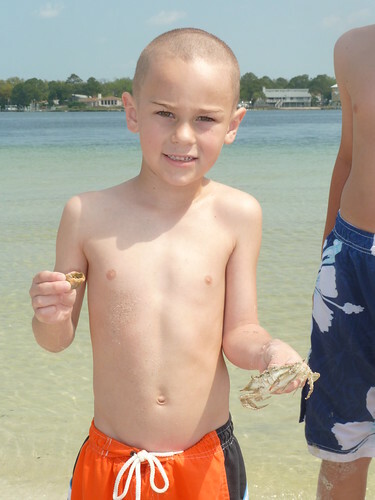 Luke wasn’t too sure about a crab that Parker and Matthew caught. Luke was content to dig in the dirt and throw the ball around. 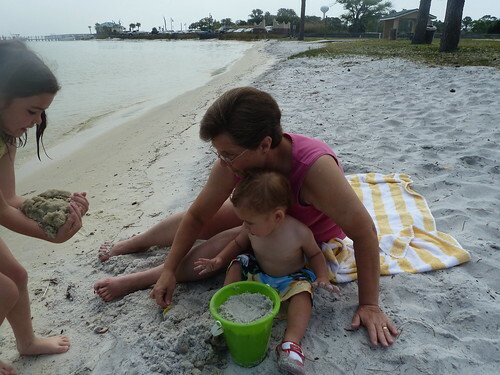 Here is Luke, Grandma, and Anna filling up a bucket with sand. 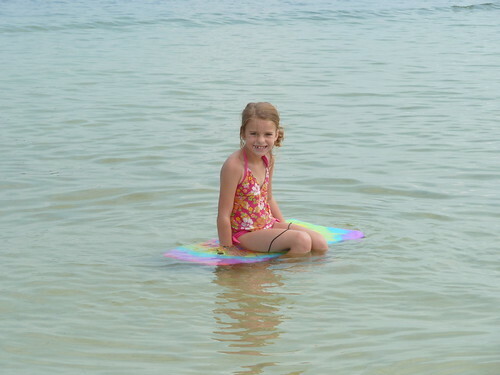 Here is Graci playing with the boogie board. Here are Lydia and Isabelle posing for a picture. 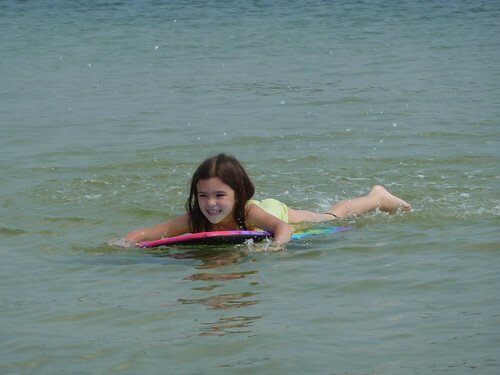 And here is Anna on the boogie board. 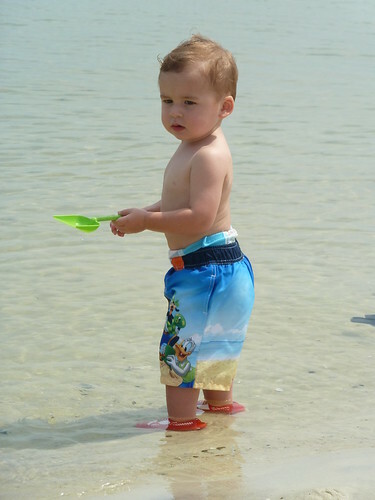 Luke still loves the water. 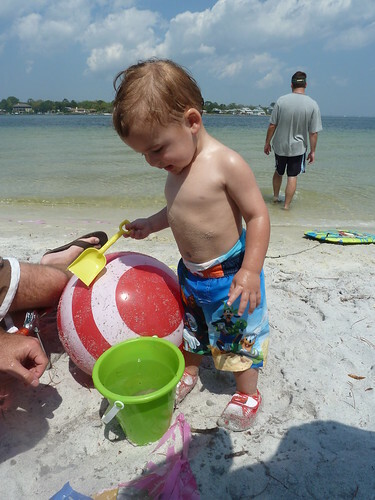 He and Uncle Steve played with this bucket for a long time before he realized that someone had put ‘feesh’ in it. 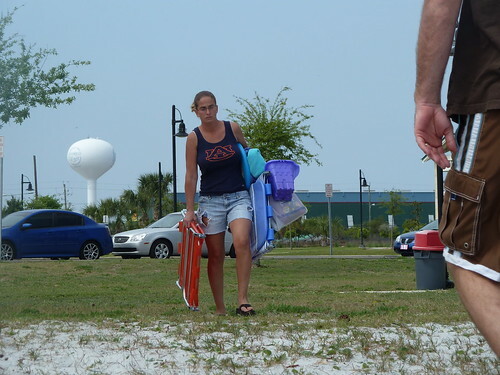 Here is Lala trying to carry all of her stuff to the beach…by herself. 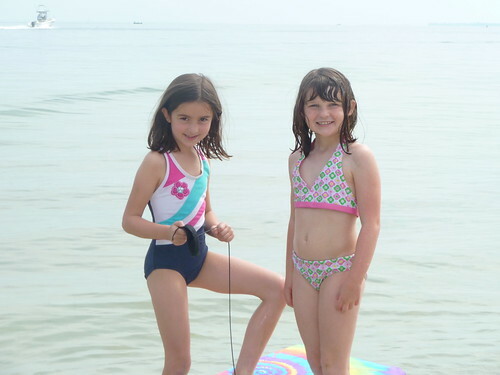 Can we guess who the two instigators of this next picture were? Yep…the grown-ups. 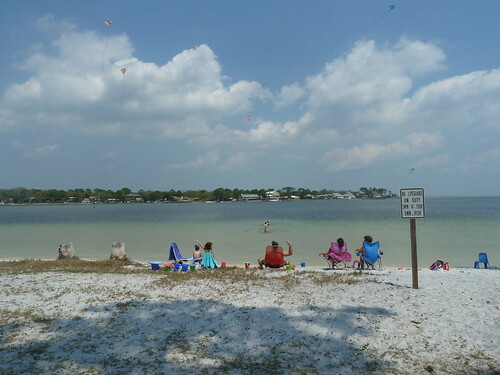 The kids all decided to fly kites. But as soon as they were up in the air, they handed them off to the adults to hold. This is only five of our eight kites. 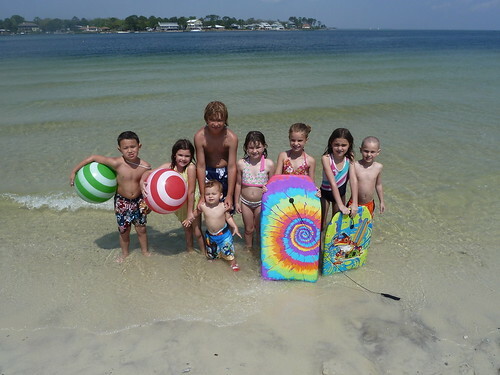 And finally here is a picture of all eight kids at the beach. We had a great time and everyone had fun. All of my kids are fast asleep. Thanks Grandma!